Park Assist has been awarded the Parking Guidance System(PGS) contract for the University of Texas at Dallas in the new PS4 campus garage at Richardson, TX in the US. 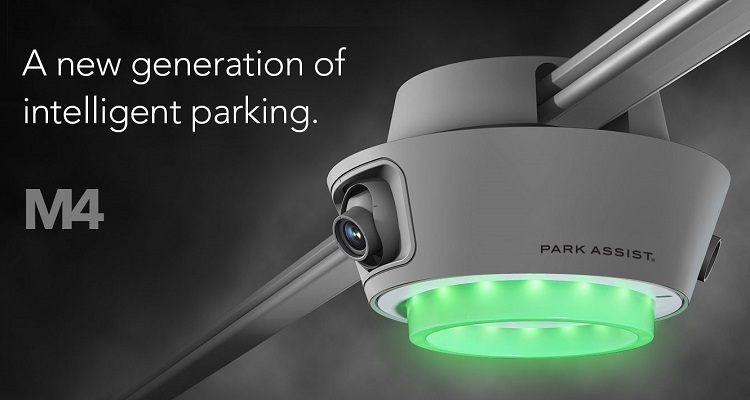 Park Assist will be installing its proprietary M4 camera-based smart sensor PGS. The system will be used in conjunction with the university’s permit based system. Park Assist’s M4 sensors will be colored-coded based on the permit holders’ car assignments in 5 variations – Gold, Orange, Purple, Green and White. This system will provide the desired level of parking guidance assistance to all students and faculty, indicating where their respective spaces are, and allowing for an effortless parking experience during their search for a space in the garage. UT Dallas wants to offer not only the most advanced system to the university community, but also better way finding signage. As part of Park Assist’s Parking Guidance System, elegant university branded signs with real-time parking availability will be displayed at the entrance of the garage, and throughout the facility in order to ensure parking availability is communicated clearly, and drivers are being guided to their parking space every step of the way. The future is just as exciting, as it includes a complete integration with other systems currently in use at the facility. University faculty, staff as well as students will be able to enjoy stress-free parking, with guidance to over 900 spaces throughout the garage, and even directions back to their car – by using Park Assist’s Find Your Car™ feature via their smart phone app. The streamlined layout of a Park Assist guidance system installation is as functional, as it is aesthetically pleasing. The M4 smart-sensors with dual cameras will be located above the driving lane to monitor a pair of spaces on each side. This unique vantage point provides the cameras with an unobstructed view of the parked vehicles – while providing parkers with clear sight lines for easy guidance and navigation..
Additionally, Park Assist’s License Plate Recognition (LPR) function of its M4 sensors will apply an enforcement feature called Park Alerts™ to this permit-based system, indicating where each permit holder is authorized to park, and provide real-time centralized review of such information, notifying the garage operations about the location of each vehicle, including parking violations. The innovative technology platform behind Park Alerts™ is specifically designed to not only provide this kind of data, but also allow for automation of these dynamic parking policies. After the completion of the project, UT Dallas will have the ability to utilize the combination of these technologies to provide both – security and convenience through enforcement of parking policies, procedures and intuitive controls. This new combination of advanced technology by Park Assist will quickly lead to an increased operational efficiency for garage operations and frustration-free intuitive parking experience for students and faculty. “This unique application of Park Assist’s M4 system at UT Dallas’s new PS4 parking structure combines an effortless parking experience with increased automation and data for UT Parking Operations. As a result of the UTD parking model, I believe universities around the country will be looking to replicate this innovative application,” said Gary Neff, CEO of Park Assist.